They are, by their own admission, close friends. But Nobel laureate Desmond Tutu has made a public plea to Aung San Suu Kyi over the plight of Myanmar’s minority Rohingya Muslims. 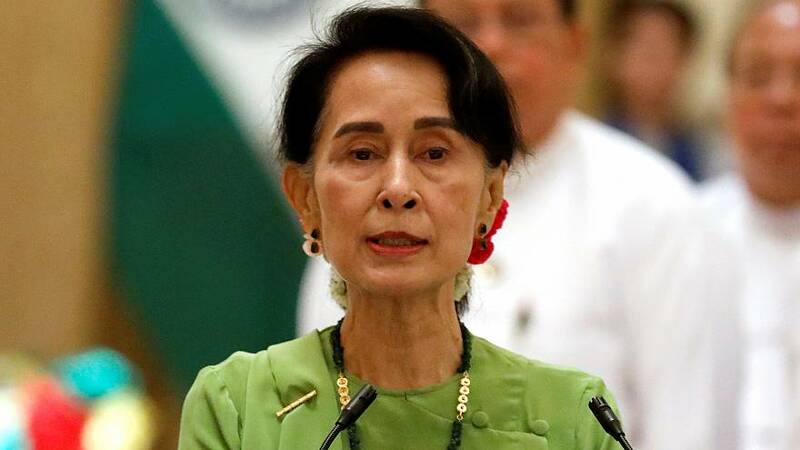 “My dear sister: If the political price of your ascension to the highest office in Myanmar is your silence, the price is surely too steep. A country that is not at peace with itself, that fails to acknowledge and protect the dignity and worth of all its people, is not a free country. “As we witness the unfolding horror we pray for you to be courageous and resilient again. We pray for you to speak out for justice, human rights and the unity of your people. We pray for you to intervene in the escalating crisis and guide your people back towards the path of righteousness,” he wrote. His comments come amid international condemnation. Rohingya refugees fleeing security forces in the northern Rakhine state say the army has attacked them and destroyed their villages. According to the UN, 270,000 Rohingya have fled across the border into Bangladesh in two weeks, while more than a thousand people are estimated to have been killed.